Cinq cas de maladie de Friedreich. Description : 45-63 p., [3 l.] pl., 114-119 p. ; ill.: 3 photo., 13 fig. ; 25.5 cm. Photographs : 3 leaves of phototypes, numbered X, XI and XII. Subject : Nervous system — Friedreich ataxia. Author caption: GILLES DE LA TOURETTE, P. BLOCQ, HUET. Clinique des maladies du système nerveux. 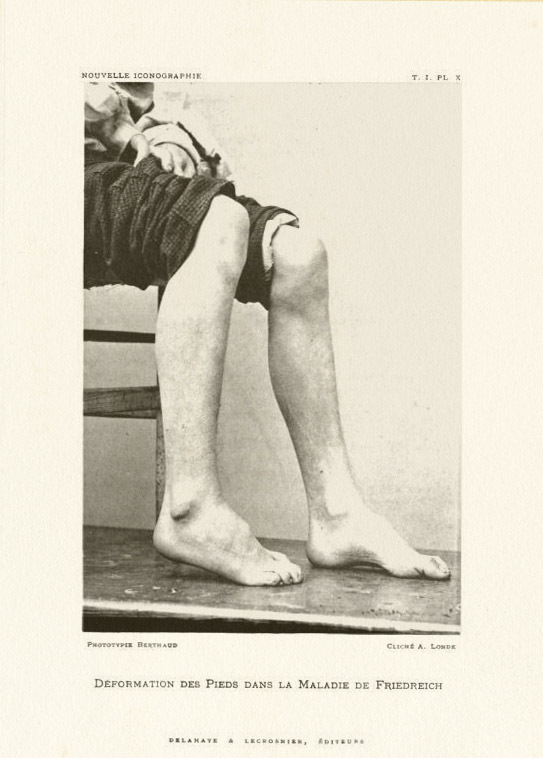 Photo caption: Plate X — Déformation des pieds dans la maladie de Friedreich. 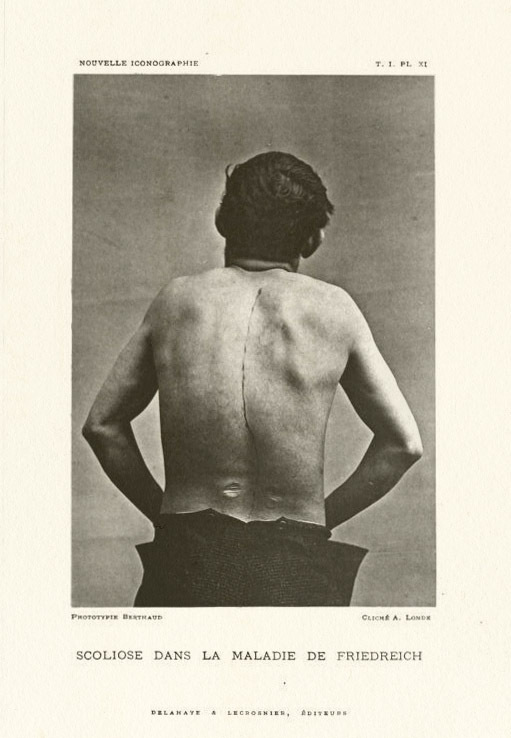 Photo caption: Plate XI — Scoliose dans la maladie de Friedreich. 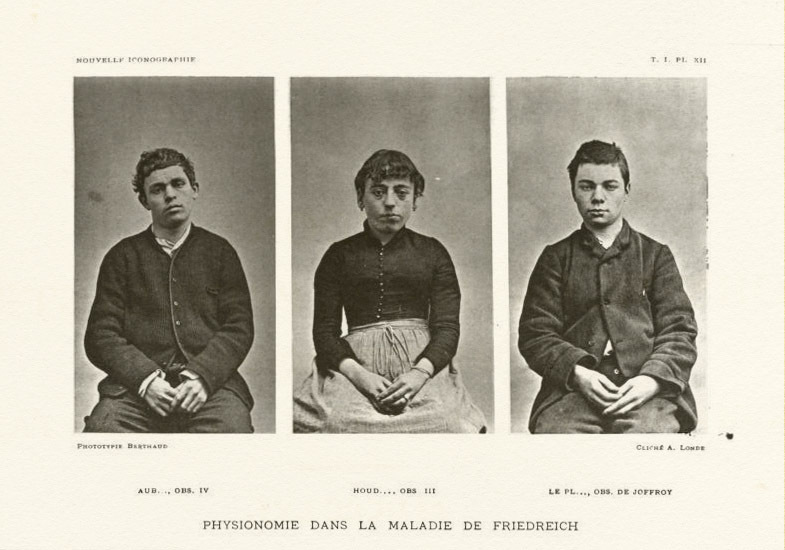 Photo caption: Plate XII — Physionomie dans la maladie de Friedreich. Although Ernest Huet played a minor role in this study, it represents his first photographically illustrated work in the bibliography. Huet was hired by Charcot to direct the laboratory at Salpêtrière. His dissertation, completed in 1889, was solid work on the histology of chorea.